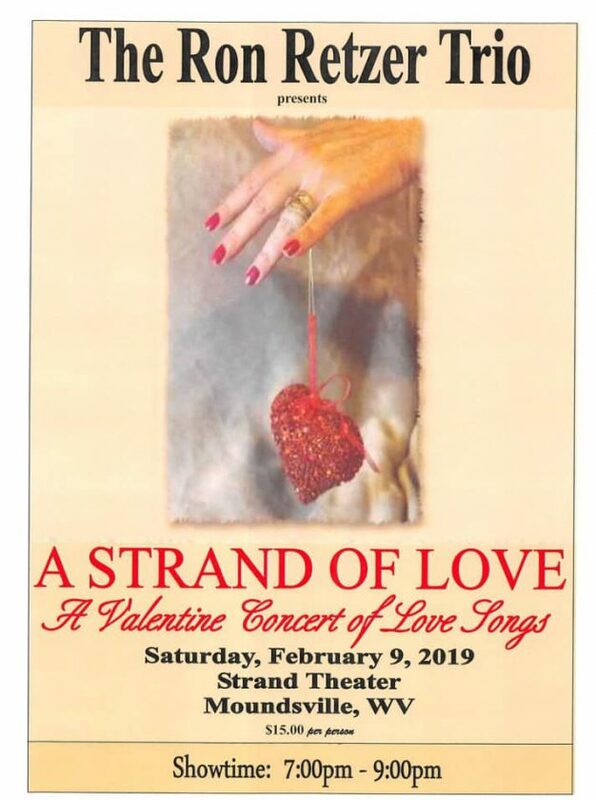 MOUNDSVILLE — Join the Strand Theatre this Saturday for an evening of love songs with the Ron Retzer Trio. Fresh off their performance at the White House, the Trio has prepared a night of beautiful harmonies and romantic music perfect for a Valentine’s date. The show begins at 7 p.m.
Tickets are available online or at Moundsville Pharmacy, Our Place for Family Haircare and Ruttenberg’s in Moundsville.